necessary anymore as you can do almost all with the aid of Barter Virtual Mastercard. create your account within 5min. 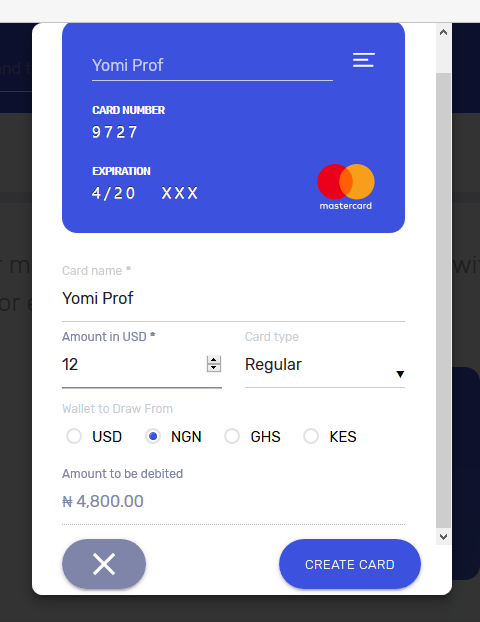 As far as I know, none of those CBN spending limits apply to this card so long you have cash in Naira account, you can always use it to fund your virtual barter card. wallet and hit the create card… You are good to go. is as easy as ABC! What do you think? 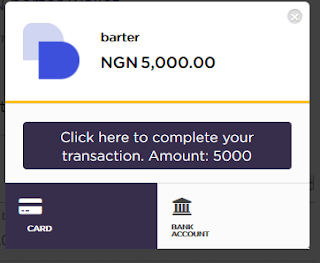 Yomi don't get it , does this Barter visual card work like payoneer? My GTBank Dollar Mastercard is cool but to get it is not easy anyway. But once you have it, you enjoy it well. Can you use it for Alixpress orders? I haven't try it on AliExpress but it should work. Can I use it on gearbest? So Prof that means with that card we can still shop at Aliexpress?? Wow. I pray it will always work out smoothly. And hope it will be acceptable everywhere. @ sir prof. Connection with my Bank is failing. And the form also required user name and password. So am confused about the Bank user name and password. I was trying to use the same Get Barter user name and password but it's failing. Any idea? 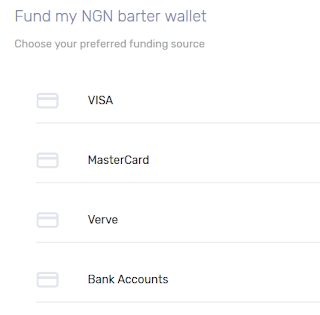 You can choose the option to fund with bank, it will take you to a page where you'll be required to enter your account number, token and pin, after which the cash will be deducted from your bank to your virtual acct. Or use your verve card. Ait. Thanks. That's what I was expecting but the form was asking me for username and password. Maybe because of the Bank. I just made a payment with it on aliexpress and went through (just received an email from Aliexpress for a successful payment. Mr Ben, how much were you charged in Naira on Aliexpress? Can we connect with PayPal and see if exchange rate reduces. 400 naira is still high almost the exchange rate of my Bitcoin Visa Card. Oga Prof, its working 101% on Aliexpress my goods has shipped this and I have gotten the notification tru email. Pls house, is it not possible to pay through mastercards directly on aliexpress than going through other routes, cos I think the exchange rate would be lower compared to the aforementioned method. For example, I was charged 320 naira on http://www.DX.com last week, had to use direct debit since my bank no longer supports Paypal.. Just saying though.. I actually tried funding my account with Diamond bank. It keeps showing DECLINED. Anything I am not getting right or it is bank selective? Wow!Good news @ Mr Ben, pls can you give just a brief outline of the payment process the barter card on Aliexpress? Unfortunately… The exchange rate is too high. . 398 to a Dollar. How can one cope with that? But has anyone tried linking it with PayPal to see if the exchange rate would drop? I think this stuff will work better with Zenith and access bank. yomi, can you pay with an international card? 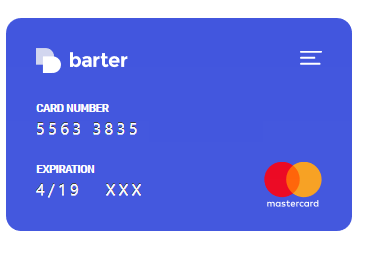 Hi everyone, pls when using this bartercard, which billing address and phone number do you use because all the transactions I've tried have failed and on my bartercard history I see them as pending transactions. I use the billing address at my barter dashboard. Its visible from your settings. How much do dey charge when u use dere service..
Say bye bye to PayPal make I even go delete my PayPal account self barter on point..
Thumbs up bro. Can it be used for Facebook Ads? It's showing transaction pending whenever facebook tries to charge me. Oga yomi please help me, i have paid into my wallet and have created a mastercard,but i cant use in on aliexpress, which is the main reason why i entered in to the stuff. i have over 300 dollars credit on the card but cant use it to buy anything. i cant even link it up with paypal. Sir please come to my aid. Don't work on aliexpress for me. Do we have to change the address on the card to correspond with aliexpress address? I tought the fault was from me, clearly its not. It appears this card no longer work. I couldn't use it with my playstore, and on AliExpress. Anybody experiencing this same ish? Payment for Order no. 83847871144344 has been accepted. why dont you guys try http://www.spectrocoin.com bitcoin visa card. 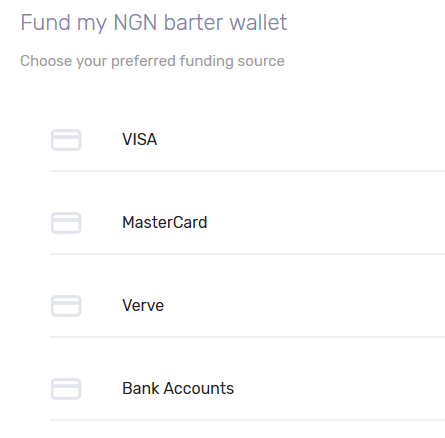 you can fund it directly with bitcoin and get it either as a virtual card or physical card. Thank you, Prof, for this exposé. I have an issue using this getbater service. and the assistants keep going in circles asking me to send screenshots unend. I have provided screenshots of my transaction, money has left my naira account, but hasn't reflected on my batercard dashbaord. For a whole week now. This kind of scenerio frustrates small businesses. I am sure I am never gonna recommend getbater to anyone. Did you chat with their customer care? Please chat with them let them fix the issue or refund your money. Tnks for the post. I tried creating the virtual card but it was asking me for an international number. I dont have one, what am i suppose to enter in the field?